Jordan concentrates her practice in the area of labor and employment. Jordan counsels employers regarding employment policies and procedures, best employment practices, avoiding employment litigation and claims, and other labor and employment related issues. Jordan drafts and reviews employee handbooks and other employment policies and procedures. 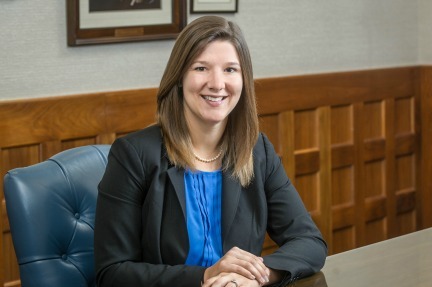 She also represents employers in state and federal courts, as well as before federal and state administrative agencies, such as the Equal Employment Opportunity Commission (EEOC) and the Nebraska Equal Opportunity Commission (NEOC), among others. Jordan has defended employers against claims of discrimination, harassment, and retaliation under Title VII, the Americans with Disabilities Act (ADA), the Family Medical Leave Act (FMLA), and the Age Discrimination in Employment Act (ADEA), state discrimination laws, and claims alleging wrongful termination and breach of contract. Jordan also appears in state and federal court on commercial litigation matters, including cases involving breach of contract, patent infringement, and real estate disputes, among others.